It has come to my attention that people are taking undignified pictures of me and putting them on Facebook. I do want everyone to know that I do NOT condone this behavior, and I find it unpardonable that I am being taken advantage of while I am sleeping. If you happen to see any of these pictures, please disregard them and I will make sure the culprit is punished. Sheesh…and they wonder why I knock stuff on the floor. I am pleased to report that we seem to be getting more and more people in to see me every day. I have the office staff trained to tell people how to properly admire me, so that’s going well. I’m also getting everyone trained to turn on my water, get my toys, and pet me when requested. If anyone should happen to see that cheeky fuzzy thing that sits outside MY windows and taunts me every day, be sure to tell him that I WILL get him some day, and he can consider himself forewarned. I’m told that thing is called a “skwirl”, but whatever his name is, I’m coming for him. To all my fans out there, thank you. I couldn’t do this all without you! There is nothing scarier than heading to your back door to call your dog inside after a potty break, only to find that your dog isn’t coming when you call him. You step outside, and to your horror you find that your gate is wide open! Panic sets in and you go racing out the gate to see where your pup is, and he’s nowhere to be found! You run into the house, grab your shoes, your phone, and a leash and head out to go hunting for your friend. Where could he be? Did someone pick him up? Is he running in the road? Is he wearing his collar and tags? 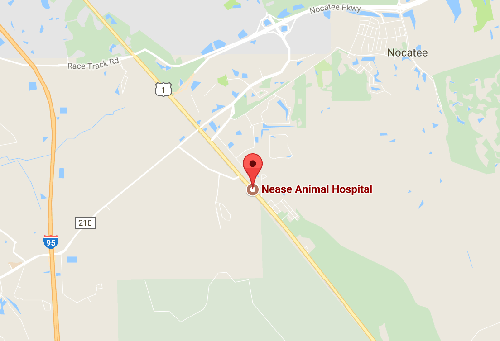 We here at Nease Animal Hospital are all pet lovers, and this is one of our greatest fears, that one of our pets might get lost. It’s important to us that our pets are properly identified so that if the unthinkable does happen, someone will know who they found and where he belongs. There are many ways to make sure that your pet gets back to you. Most common are the traditional dog tags that go on a collar. Tags are a great method of identification, however, tags can fall off, and so it’s good to have a more permanent method of identification, such as a microchip. Microchips are small, rice sized chips that are implanted between your pets shoulder blades that are used as a means of identification. They are harmless and once implanted, your pet won’t know it’s there. If your pet does go missing and get picked up by a Good Samaritan or animal control, a quick scan will be all they need to get him home to you. Microchipping is no more painful than a vaccine, it’s inexpensive, and it’s good insurance that your pet gets home. If your pet needs a microchip, call us and set up an appointment. It’s more than worth the $35! Call us for an appointment! Here in Florida, we have a lot of plants both in the house and outside the house that can make our pets sick. Unfortunately, these plants don’t come with a label warning us, so we have to stay educated on what plants are safe if my cat samples it and which ones we need to keep our pets away from. 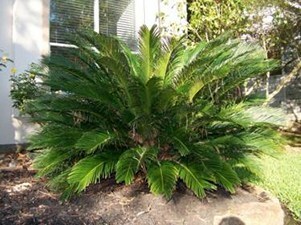 One of the most common toxic plants in this area is the Sago Palm. Many people have these attractive plants in their yard. If you have these, it’s VERY important that you keep your pet away from them. All parts of the plant are toxic, and only a very small amount can kill your pet. If you suspect that your pet has chewed on or swallowed a piece of a Sago Palm, you need to get them to a veterinarian immediately. Don’t wait for your regular vet to open, take them to the emergency clinic! These plants cause severe liver failure very quickly! 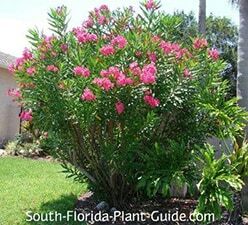 Lantana and Oleander are other attractive plants that grow very well in our area. 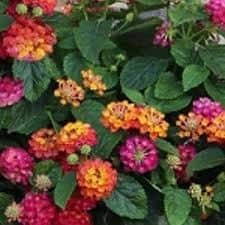 Lantana is really a beautiful bush and attracts all kinds of butterflies, but it does need to be planted in an area that your pets won’t access. The whole plant is toxic, and in small amounts causes mouth sores and skin cracking, but can cause toxicity if too much is ingested. Oleander can look like a bush or a tree, and all parts of the plant are also toxic. It can cause gastrointestinal issues such as drooling, vomiting, and diarrhea, and more seriously it can affect your pet’s heart function. If your pet has ingested a plant and you don’t know what it is or if it’s toxic, you have a couple of options. You can call us here at the hospital if you know what kind of plant it is, and we will find out for you if the plant is safe for your pet. You can call the Animal Poison Control Hotline at 1-888-426-4435. Be aware there is usually a charge to call the Animal Poison Control. You can also check out the University of Florida’s website for a much more complete listing of the toxic plants in our area!